April 16, 2018, filed under New Products; Comments Off on 192.com’s FindASchool service in the news!. April 3, 2018, filed under New Products; Comments Off on See Phil Spencer launch his Property Report. Watch TV’s Phil Spencer launch his property report in partnership with 192.com and MoveIQ at the 2018 Ideal Home show. , filed under New Products; Comments Off on 192.com’s Property Report in the Evening Standard. The Evening Standard have published a very useful article for those looking to move home this spring. Phil Spencer’s secret weapon: the research you should do before putting in an offer — and the secret tool that will help you. The secret tool is none other than our very own property report, which gives property hunters everything they should check about a property, the street it’s on and the neighbourhood it’s in BEFORE starting the negotiations. 192.com partners with MoveIQ to launch Phil Spencer’s Property Report. March 28, 2018, filed under In the News; Comments Off on 192.com partners with MoveIQ to launch Phil Spencer’s Property Report..
192.com has partnered with Location, Location, Location presenter Phil Spencer to produce a Property Report that helps empower property hunters, giving them all the information on a property and the local area to make an informed decision. 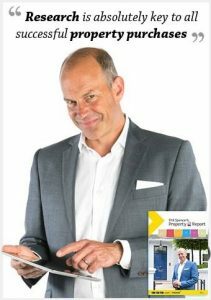 With Phil Spencer’s Property Report, you can instantly access important information about any property in England and Wales. This includes the title register, valuations of the property and neighbouring homes, planning information including approved, pending and even rejected applications, and even if the property falls in a successful admissions area of a local school. The report empowers buyers and renters by making all the facts available to them in one place, helping them to get the best deal possible and making them aware of any potential issues that may not be immediately obvious. The report cost £17.99 and is available HERE. Choosing the best start for your child’s future is never an easy task. If your little angel/monster has recently turned 4, or will before next September, then you’ll need to start considering options for starting school and entry to reception – unless home-schooling is in your early years plan. Here are England’s top 50 state primary schools based upon the latest SATs results from 2015 – ranked by their average points score in the 3Rs (reading, writing and maths). These schools certainly succeed when it comes to academic brilliance – and getting a place can seem like mission impossible. A popular technique from ambitious parents is to rent a property close to their preferred school – a potentially expensive gamble when some school cut-offs have, In the past, been as low as 50 metres. Topping the list is Little Dewchurch Primary School in Herefordshire – it’s a small local primary with a religious ethos at its heart. This year they only had 9 places available – although the latest numbers tell us that they have allowed 25 students to start their academic journey with them this September. And you could’ve lived within 7 kilometres of the school to bag a place. With top ranking academic scores – you can imagine this will continue to be a popular choice for the local community and a little wider. But should you up sticks to move to leafy Little Dewchurch? £200,000 could snap up a 4 bed detached house nearby – so it might not be a bad move. The London boroughs of Kensington and Chelsea , Harrow, Westminster, Richmond upon Thames, Hounslow, Haringey, Greenwich and Havering all feature in the top 50 – making up almost a quarter of the top schools. 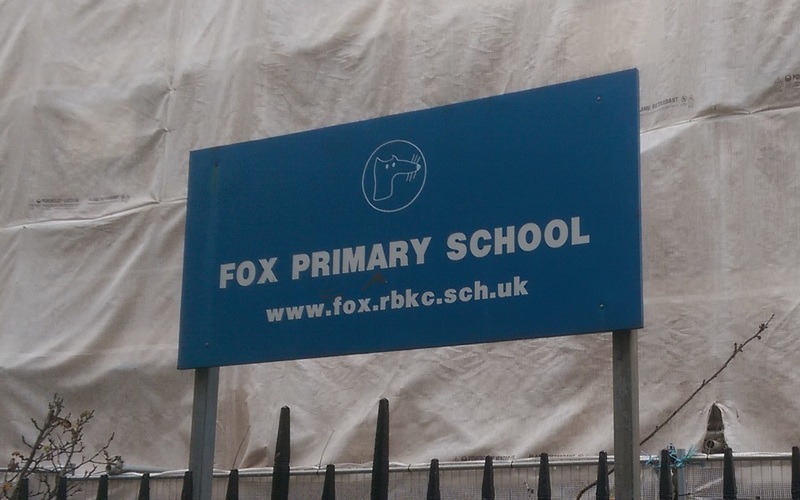 Fox Primary School in Kensington and Chelsea is well known for consistently being one of the best, and toughest, schools in the whole UK to secure a place at. In 2014 and 2015 you needed to live within just 100 metres of the school to get in (unless you already had a brother or sister attending). Fox School has been undergoing an expansion over the summer of 2016 – allowing them to double their reception intake for September 2016 from 30 students to 60. This also meant they could admit pupils living up to 303 metres from the front gates. Just as a guide to local prices – a parking space alone in W8 could set you back a cool £150,000 (plus annual service charges of £1,000). If you wanted more than a parking bay, rented bedsits start from around £800 per month. Or you could always splash out on a luxury 8 bed apartment – starting from around the £25 million mark. Perhaps the most surprising set of entries are provided by Lancashire. Granted, Lancashire, as a local authority, has the largest collection of state funded schools in the UK, but this northern powerhouse features four schools in the top 50. St Joseph’s Catholic Primary School in Withnell is a Catholic school (a clue is in the name) and they use faith as part of their selection criteria. Catholic schools are often quite hard to get places at – unless you have a strong link to the Catholic Church. In other words – the kids are baptised and regularly attend church. Last year St Joseph’s was not oversubscribed – so, this superbly academic school could still be a great option if you live in the local area, even if you don’t have a religious inclination. And a 2 bed terraced house in the same road as St Joseph’s could cost under £150,000 (that’s cheaper than a parking space in Kensington). Primary school applications close on January 15th. For the best chances of securing your preferred school always apply on time. To find the best schools in your area visit findaschool. Catchment areas, nearest schools and other terminology make school admissions a jargon minefield. Here, we try to explain it as simply as possible. Several local authorities allocate places at oversubscribed schools by giving priority to children who apply to their nearest relevant school. This effectively creates a catchment – an area around each school with priority for applicants living within that nearest area. As with catchment areas, living inside this nearest school area does not guarantee you a place at the school. Check out findaschool to find out your chances of getting into your nearest school. Many schools use home to school distance as a tie-break if a school is oversubscribed within a certain criteria. If the school filled up with other kids in the catchment area who live closer to the school than you do – you’re unlikely to get a place. Schools that use faith as part of their selection process can often give priority for practicing members of that faith – often requiring validation and a sign off by a relevant religious leader. Check out findaschool to find out your chances of getting into your local catchment area school. Here at findaschool we get lots of questions about catchment areas. Parents want to know how catchment areas work, are they guaranteed a place at their catchment school, and is it possible to get a place if they live outside the catchment area. I live in a catchment area – am I guaranteed a place at that school? No. Each year, schools must publish their admission number (PAN) stating how many places are available for entry for the following September. If there are less applicants that places then all children would automatically be eligible for a place. If applications exceed the PAN then each school has a predetermined set of criteria with a sequential priority order. Each application must be ranked against those criteria. But surely I get priority over children living outside the catchment area? Not always. Although living inside a catchment area usually gives you priority over children living outside this area, this is not always the case. Catchment areas – what are they? Catchment areas can go under many different names depending on where you live across the UK. Priority areas, priority zones, priority admission areas, designated areas and normal areas are all simply regional names for catchment areas. Many schools that include religion as part of their selection process might give priority to people living in church parishes – again a catchment. Then there are schools that allow priority if the school is your nearest relevant school – fundamentally catchments. The name isn’t particularly important – catchment areas are all used to define a group of residents who receive some priority treatment if they apply to an oversubscribed school based upon where they live. Do all schools have catchment areas? Around half of all schools in England use catchment areas. In Scotland and Wales virtually all have catchment areas. Check out findaschool to know if you’re likely to get into your local catchment area school. Ofsted is the Office for Standards in Education, Children’s Services and Skills. In other words they are the government agency tasked with making sure schools and other child services are meeting high standards. And – if not – finding ways to help schools improve and provide the best education possible for children and young people. In the 2014/15 academic year Ofsted made 4,525 inspections of mainstream primary and secondary schools up and down the country – this equates to just under a quarter. In the annual report produced by Ofsted, Sir Michael Wilshaw – Her Majesty’s Chief Inspector (HMCI), states that 85% of all primary schools are graded either good or outstanding, while secondary schools lag behind at only 74%. In fact 700,000 kids in secondary education are attending schools that are less than good. And 20% of those are in schools that are deemed to be failing. Plus if you live in the North of England or the Midlands, your chances of getting into a good or outstanding school really start to drop. Too many secondary schools have nurtured a culture of low pupil expectations. And they frustratingly tolerate poor behaviour and disruption in class. Unsurprisingly, these schools generally perform significantly worse in their GCSEs results. Believing that children living in areas with inadequate schools are pre-destined to behave worse and achieve less than their peers in other parts of England after the age of 11 is a sad state of affairs – and something needs to clearly change. The government’s plans to academise all schools in England are not driving up standards enough – they often have an initial surge of revitalisation, but that surge too often starts to falter. In fact looking at the worst performing Local Authorities across the country they are simply shifting blame. We need local politicians and school leaders to really challenge the status quo and make a genuine difference. If you want to find out how your local secondary schools performed in their last Ofsted inspection, check them out at findaschool. Next September may seem a long way away when you’re only ten. But if you turning eleven this academic year and due to move on to a secondary school then your parents only have a few more days to get your secondary school applications in and try to seal your academic fate. That’s right, applications for secondary school places in 2017 close next week, on the 31st October. It’s Halloween for some – and a potential nightmare for many parents across the nation. Through our annual research and data collection we’ve identified that in September 2016, half of all secondary schools across England were oversubscribed. But thanks to our school finder at findaschool you can check out your local schools and even see where you would’ve needed to live in order to get a place in previous years – hopefully an indication of your chances next year with your secondary applications. We’ve been collecting admissions information for some areas, particularly in London, since 2010, and other areas since 2014. So take a look at our historical data too to get an idea of trends. Plus we’ve included schools’ Ofsted reports, contact details and much more. We’d recommend carefully looking at your Local Authority’s published booklets to get the full list of admissions criteria for your preferred schools. And most importantly – get your secondary school applications in on time – otherwise your child might just end up at the bottom of the pile. To see how places were allocated at your top school choices last year check out findaschool.